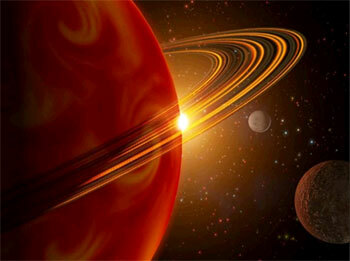 AstroSage Magazine: Saturn going Direct on 8th July 2013 - how it will impact you? Saturn going Direct on 8th July 2013 - how it will impact you? Saturn translates to Shani in Sanskrit meaning 'slow'. No wonder, because Saturn is among the furthermost planet of our solar system visible from our naked eyes. Saturn is a hard task-master and unforgiving; hence people do scare most from him. In India, Sade Sati (7.5 year cycle of Saturn) and Dhaiya (2.5 years cycle) are the name of terror and people necessarily get terrified by Saturn. With so much negativity attached to Saturn, the truth is that the Saturn is most fair planet that never shows any bias or prejudice. Saturn is spiritual, compassionate and without any partiality; hence it ensures you reap what you sow. Saturn merely gives you results of your own doings taking some to pinnacle in life or pulling down others to the netherworld. Saturn Becomes Direct - Effects on You! Shani Sade Sati is a widely known term as this is that duration of time which affects one's life very effectively. Hence, we have created this Software for you, which will calculate everything about Shani Sade Sati in your Kundali. Please click here - FREE Shani Sade Sati Report. So, this was all for you in this week. We hope you found this newsletter helpful. Looking forward to your feedback. Have a nice time ahead!